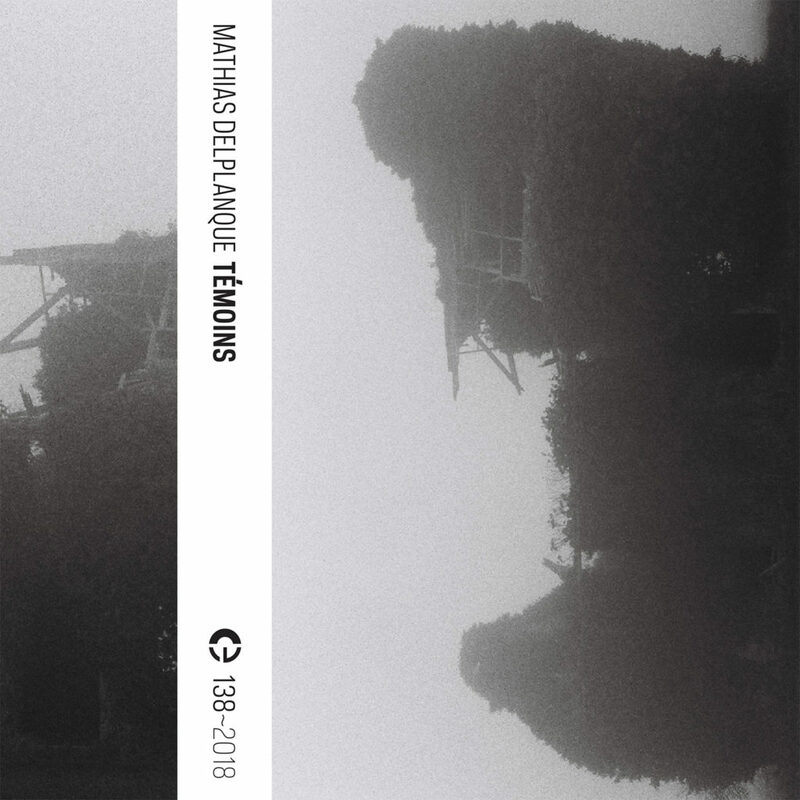 “Témoins” comprises three pieces of sound art composed and compiled between 2011 and 2014- or just the first two pieces if you opt for the cassette rather than the download. Conceptually they are post-production-light layerings of organic recordings from three different locations that were given to Delplanque as though they were instructions, on top of which Delplanque played some ‘real’ instruments in situ to sit within or atop those environments. Initially, “Roz” has a pure-sounding bit of improvised glockenspiel for its musical core, spouting occasional formless and pleasant notes that surf the mixed rural exterior sounds- birdsong, sheep, distant wind and traffic etc. A surprise cacophony of spontaneous percussion heralds an unexpected shift into the second half, which is brasher, littered with odd backwards-sounds, mumbling voices and nearby rapid watercourses- perhaps exposing the ‘workshops for schools’ element of the original commission. This settles almost as abruptly as it begins as we loop back to the calmer and more ambient world we first came in on. “Bruz” is a sharper and more indoors piece, sampling percussive door slams, loud air conditioning units, passing conversational snippets, catering noises, drilling and distant vacuum cleaners all from a college campus. It’s described as a ‘sound postcard’ and as that, it’s a postcard from a situation from where nobody would ever send a real postcard- frankly it would be fundamentally dull if it were not for the glockenspiel-like sound which, again, wanders gently over the top to provide the impression of structure into an otherwise fairly shapeless arrangement of found sounds more fitting of a sound effects library than a curated piece of sound art. This melody morphs into a softer, more accordion-like arrangement towards the end. Shorter digital-only track “TU” rolls with the same environmental tones as “Bruz” but with more instrumentation, unfolding out of piano, acoustic guitar and other ensemble instruments as though they are warming up to perform traditionally, but instead they begin to sustain indefinitely. When paying attention rather than treating this release as background noise, this track- despite being tacked on- is absolutely the strongest and most detailed of the three, thanks in part but not entirely to its closer relationship with a more traditional performance. At times when the piano plucks away idly it feels structurally similar to Jean-Michael Jarre’s “Waiting For Cousteau” but with college sounds instead of water. This entry was posted in Reviews and tagged 138, Mathias Delplanque. Bookmark the permalink. Comments are closed, but you can leave a trackback: Trackback URL.